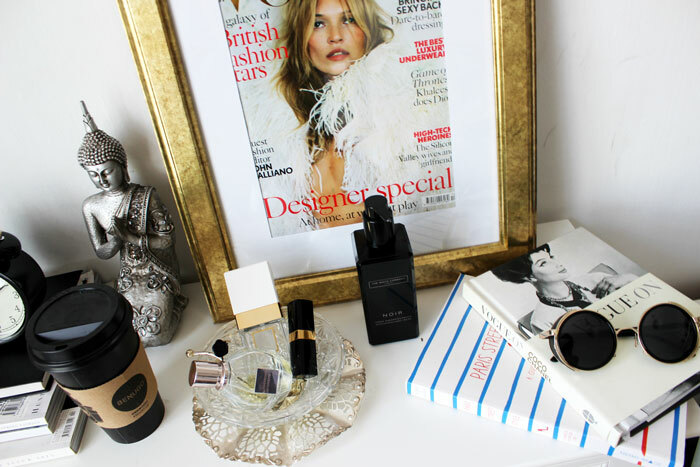 So my dresser has become a window display for some of my favourite things lately. I have a small room so space is valuable and in all honestly, Kate Moss beats makeup and mirrors. Who wants to look at themselves when you can look at the Queen that is Kate?! My rooms is a working process, part of the reason I haven't filmed a room tour which is the most highly requested videos on my channel (sorry if that bothers you). I was rearranging my forever changing dresser yesterday, and figured I'd share a couple of snaps with you! 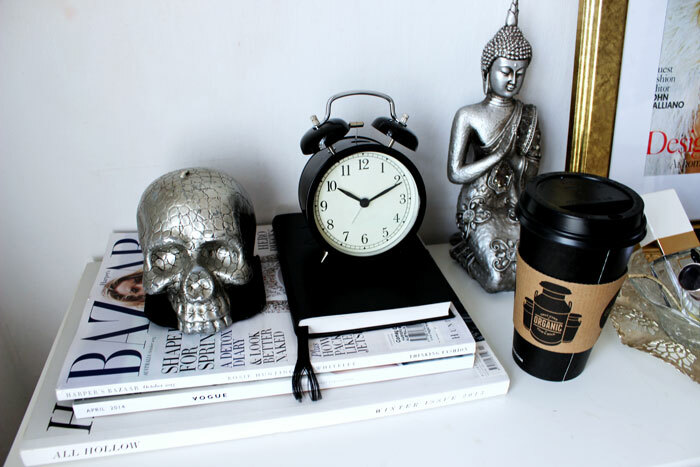 Also, Coffee cups are the new bedroom accessory, haven't you heard? 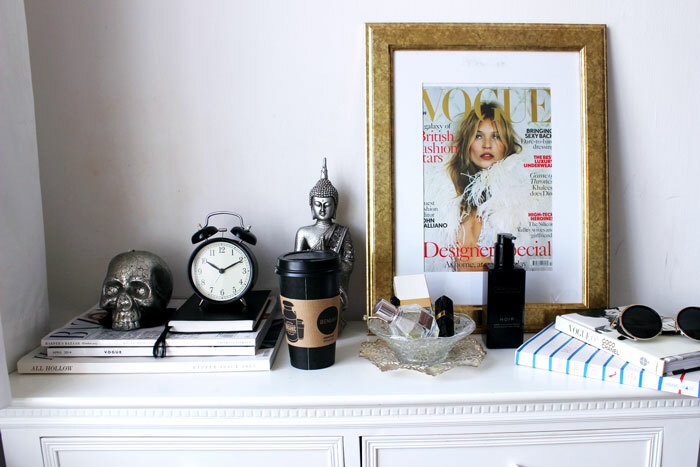 Love how you've decorated your dresser! 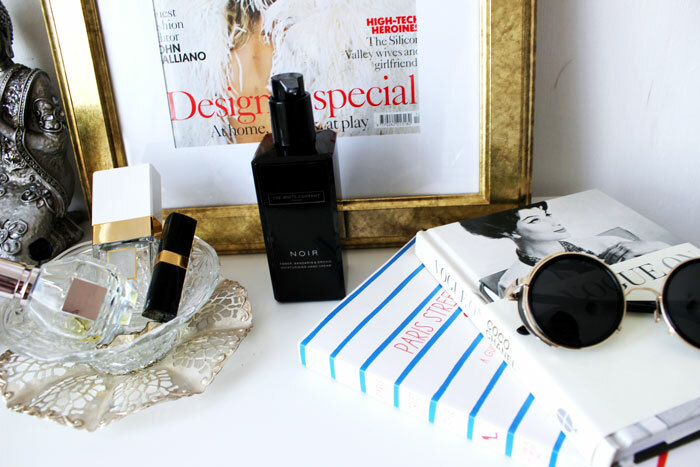 And I'm reading the Vogue On: Coco Chanel book at the moment - so good! Love the photos and the sunglasses ! How you managed to make a coffee cup look so chic is beyond me but I'm rather jealous of your ability to do so. All content and images © Hannah Desai unless otherwise stated. Powered by Blogger.